SCHLADMING, Austria — When Marcel Hirscher goes after his elusive Olympic gold medal in Pyeongchang next month, a member of the Matt family could stand in his way once again. 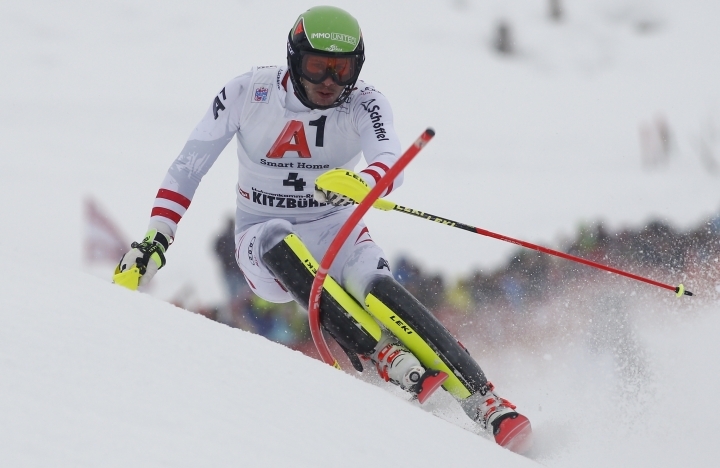 In Sochi, Mario Matt beat his Austrian teammate to the slalom title. 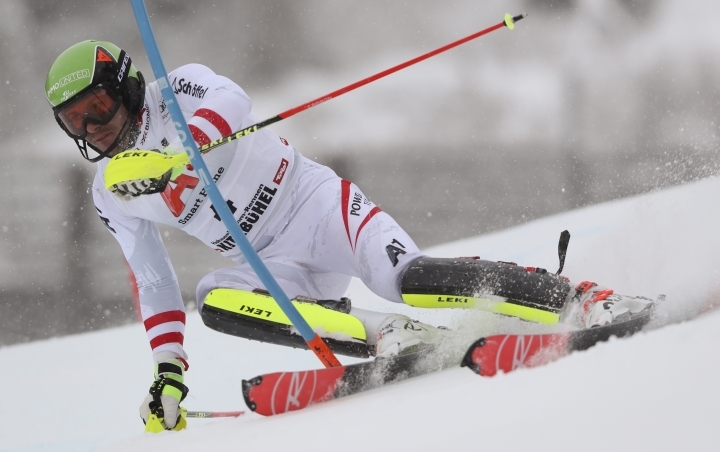 Four years later, Michael Matt, Mario's younger brother, has become one of Hirscher's main rivals. "If I have two runs like in Kitzbuehel, Adelboden or Zagreb this month, then everything is possible," Michael Matt said Monday, the eve of the last World Cup slalom before the Olympic race in South Korea on Feb. 22. Michael Matt and Norwegian rival Henrik Kristoffersen are regarded as Hirscher's main challengers when the six-time overall World Cup champion has another shot at the only major prize he is missing. "They are both beatable, I have proven that several times this season," Matt said. Brother Mario had 15 World Cup wins and two world titles to go with his Olympic gold medal when he retired at the age of 35 three years ago. While the career of 24-year-old Michael Matt is still in its early stages with six podiums and one win, he is eager to step out of his brother's shadow. In fact, he feels like he has already done so. Michael understands that people will always compare the two, but slowly the questions about Mario are starting to annoy him. After skiing an impressive race and trailing winner Hirscher by only 0.05 seconds in Zagreb a few weeks ago, journalists at a only asked him about his brother, who is running an apres-ski bar and breeding Arabian horses. "I have to live with that," Michael said. "But by now, the reporters should know that it's me who is racing." According to Austrian coach Marko Pfeifer, who has led the slalom team since 2013, the Matt brothers are very similar. "The way they talk, their mentality, their style of racing, their stand on the skis, it's all nearly the same," Pfeifer said. After making his debut in 2013, Michael Matt earned his first World Cup points in Wengen in 2015 when he finished 16th. He arrived in the elite of slalom racing by placing second in Levi at the start of last season, and followed with his sole victory so far in Kranjska Gora a few months later. This year, he has racked up three consecutive second places in the first week of January. "The beginning of the season wasn't great. But I am in good shape and since (December) it's all been going better," Michael said. While Hirscher won five straight slaloms and Kristoffersen was on the podium every single race, Michael Matt is still looking for his first victory of the season. He came close at Sunday's race in Kitzbuehel, leading Hirscher by 0.75 seconds when he passed a gate the wrong side, a seldom seen mistake. "It felt like Klitschko is punching you in the face," Michael said about his blunder. "It was bitter as I know I was keeping up with the very best again but I didn't take my chance." Next month, Michael will become the third Olympian in his family. Another brother, Andreas, is a former ski cross world champion who won silver at the 2010 Vancouver Games. Pfeifer said Michael could become the third Matt with an Olympic medal. "They stand out but beating Marcel or Kristoffersen is always tough," Pfeifer said. "On details, they are maybe still ahead of Michi a little bit. But on a super day with two super runs, Michi can beat them."